Happy New Year! Let’s call 2019 “The Year to List Your Home”! 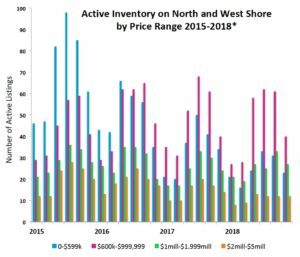 In 2018, prices were up across the market, but demand generally exceeded supply and unit sales were down. You will surely bring joy to the market, and your wallet, if you decide this is the year to trade up or move on–no better time to dust off the mantelpiece and spiff up your home for sale! 4th quarter 2018 saw a 23% drop in closed Single Family Residence sales region-wide from Q4 2017. 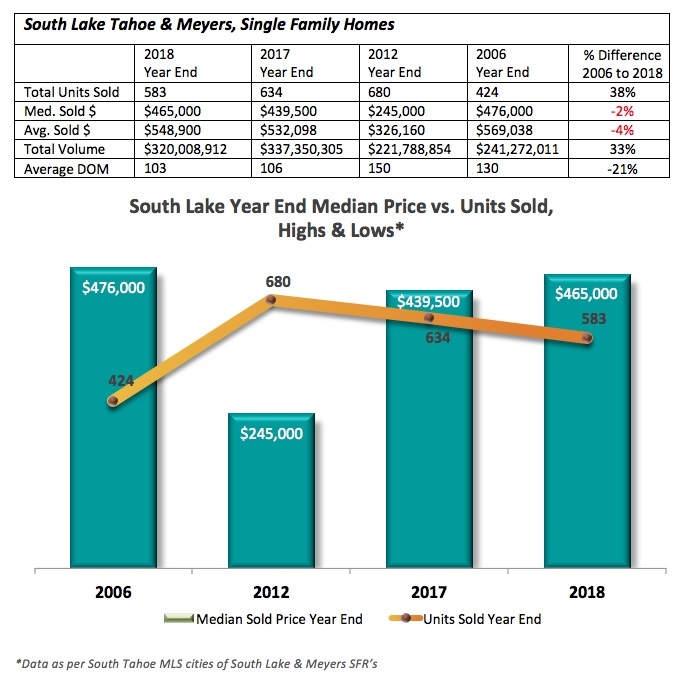 The exception was the luxury market, especially lakefronts, which had positive unit numbers and and an even stronger surge in sales prices. 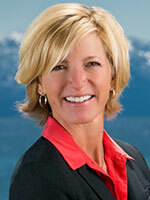 Ski area homes, along with condo sales in all areas, saw the most noticeable effects of tight inventory. 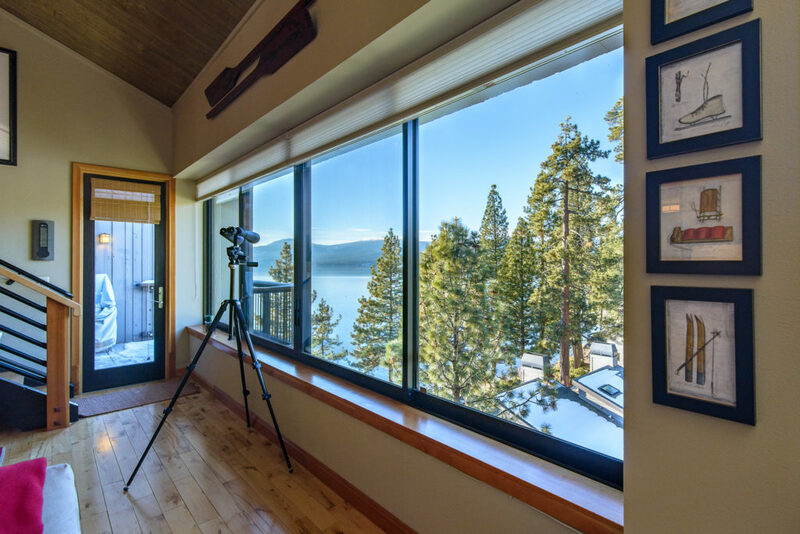 Northstar represented 56% of units sold and 58% of dollar volume among the three major North Tahoe ski areas, Squaw, Alpine and Northstar. Click here for Northstar numbers. 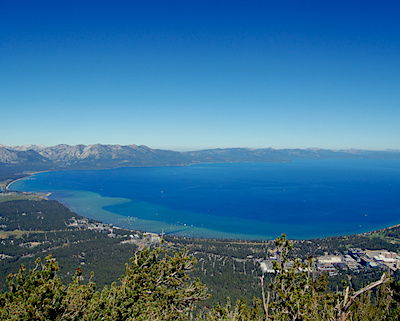 Am I imagining that there are A LOT fewer inexpensive homes available in the Tahoe Basin than there used to be? No, you’re not! 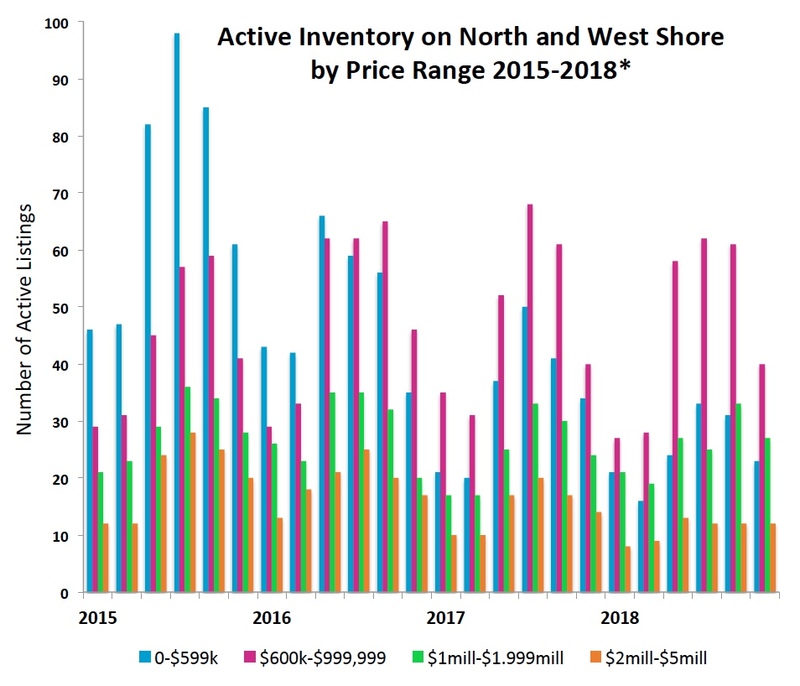 Active SFR inventory below $600,000 on the north and west shores has grown really tight, as you can see in this chart. In 2018 there were about 1/3 the listings at entry level prices than there were in 2015. The $2-5million bracket is also low on inventory with half as many listings as three years earlier. The good news is that buyers in the $600k-$1mill range are in the sweet spot and still have the same number or more choices (but we’re seeing more of these buyers too), while $1-2million listings are a little bit down but hanging in there.